BOC forms® are produced by mounting special developed and patented aluminum tubular shapes which interlock, resulting in light panels with excellent rigidity. 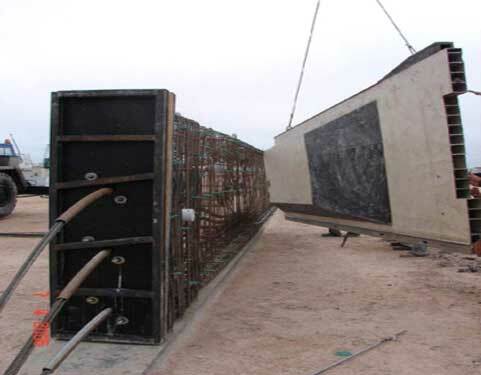 These panels can have up to 7 m length and have a tight connecting joint with the next panel, which prevents concrete leakage. The system adapts itself to the architectural design, allowing any element geometry. The aluminum shapes are rectangular and modulated in 15,12, 10, 5, 2 and 1 cm. The composition of these shapes results in the precise element measures. 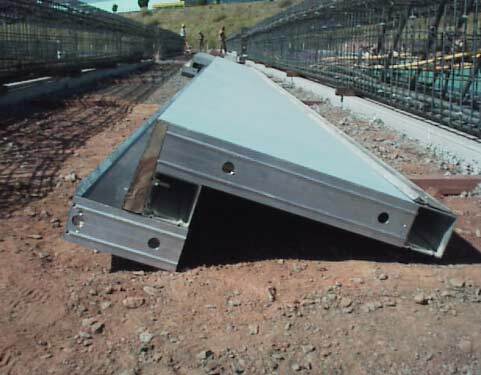 Tilted faces are made with steel plates fastened to the aluminum shapes. BOC form panels are rigid, large sized and absolutely flat. They are coated in formica laminate, having a perfectly smooth and watertight surface. They have 1,5 x 1,5 cm aluminum corners on all edges. Finishing is first class. The few joints between form panels are leakage proof and are almost invisible. 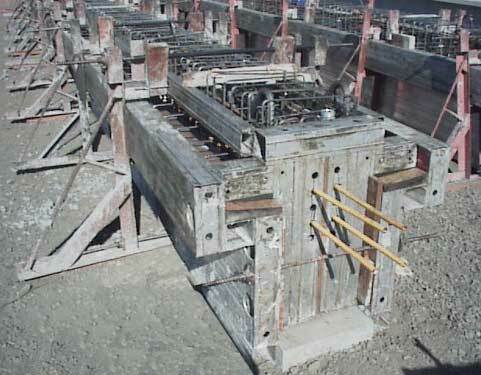 Interconnection is through bolts and fixing rods, and is supplied with the BOC forms. All this results in the Boc forms having the best quality in the market.